It is the long time since fencing is not just about the enclosing of land. If it is, common mesh on couple wooden post would be enough. Clients create overall impression of house by the fence. The most commonly used fences are: brick, wrought or fence with wooden filling. The basis are earthworks. We continue by adjustment of materials and following anchorage. We also satisfy the needs of the most demanding customers. Wooden fences have always had their allure. Natural material looks aesthetical. By the right choosing of material you will get lifetime more than half-century. To producing, we use hard wood – oak or locust tree. Are you searching for how to enclose your house, garden or cottage? 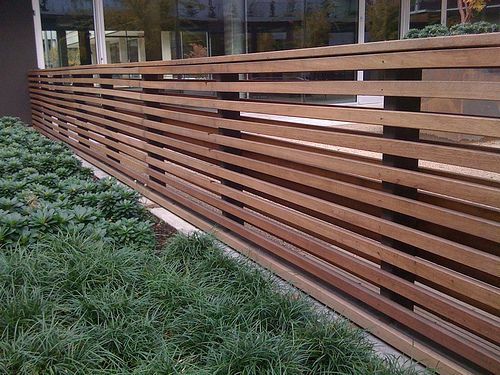 Use fence with wooden filling. It is up to you, which form of privacy you will choose. Full, non-transparent panel will safety protect you from non-wish looks. If you like view, select classic fence with gaps. Do you want the designed unique object? 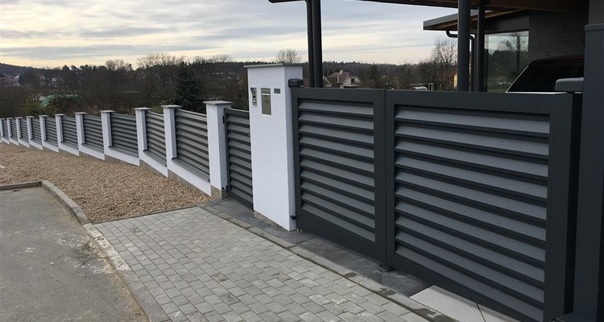 Thanks to our experiences and skills we will produce fence made-to-measure, for which everybody will look back such as for car with elegant curves. Wrought gates connect history, style and quality. Ornamental solutions in traditional and in modern design gladden eye. Admiring glances are guaranteed. 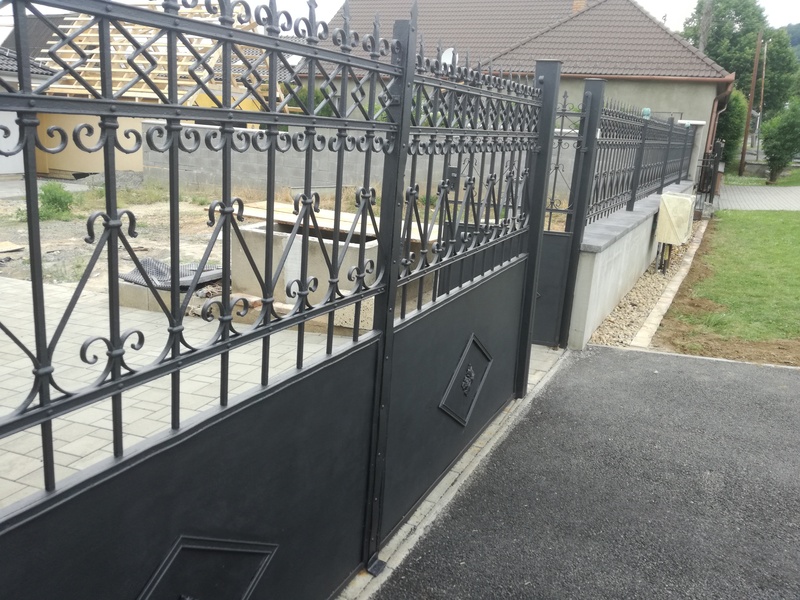 We produce and install gates of various sizes and decorated blocks of fencing filling. You can use it for family houses, cottages and everywhere you want to create history-breathing atmosphere. We will also produce made-to-measure wrought handrail for you. Concrete fence guarantees maximal margin of privacy. 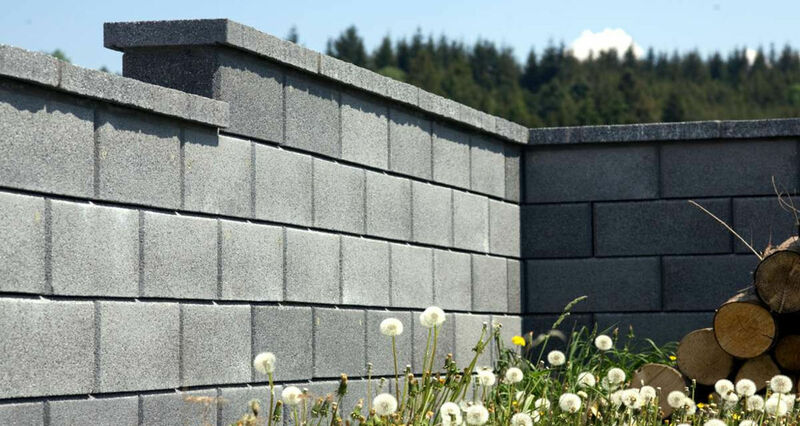 Construction from shuttering blocks brings resistance, long-lasting and absolute maintenance-free. 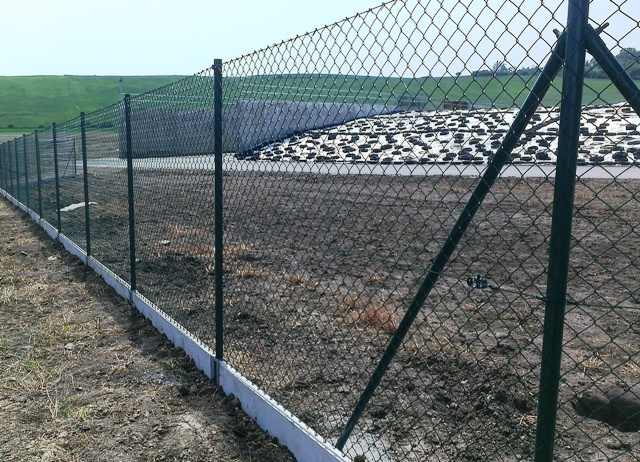 It is the most high-quality material for construction of concrete fence. It is also the most complex material in view of surfacing. You can use stopper, marmolite or facing stone. As the filling we use “Z” profile – also called window-shutter fillings. 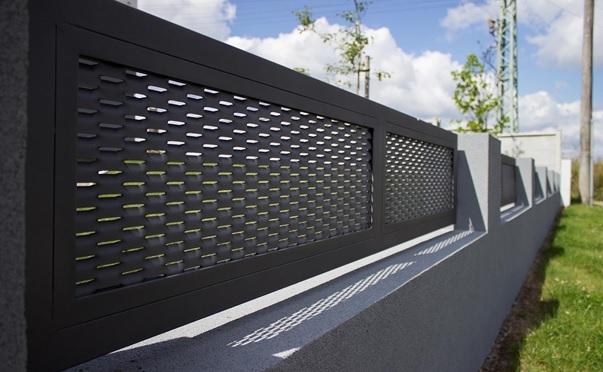 Lamellar fence is modern component, which fits modern buildings. It is maintenance-free. It looks like new one for many years. Of which materials it is made? We use aluminum and zinc with optional surfacing. You can choose your favorite shade of color. At no extra cost, we spatter materials with bi-component polyurethane. Do you need to protect object, space or set aside the land? Mounting of mesh is the idealist and the cheapest way. It guarantees high protection with low degree of privacy. How will we attach mesh to fence? We use two techniques. We attach the mesh to screws or fix classic concrete posts. We offer the production and the installation of welded mesh for you. Fence components or mesh panels guarantee fast installation. Next modern material disposes of wide range of application. Besides fences, it is used to handrails, stairs and grates. Maintenance-free modern material offers many ways of punching and perforating. Which materials are the most popular? Aluminum, zinc and iron. You have option to choose surfacing with your own color shade. As the standard for our customers, we adjust material by spattering the bi-component polyurethane.